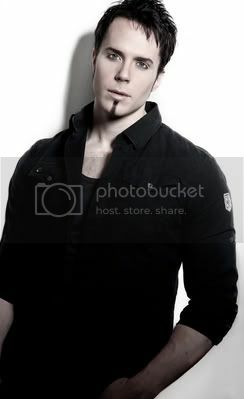 KAMELOT Vocalist Tommy Karevik - "I Never Thought That So Many People Would Accept Me As Fast As They Did"
Q: What happened inside you when you knew you were "the chosen one" to be the new Kamelot’s singer? Nervous? Anxiety? Happiness? Tommy: "All of those feelings were there to some extent. I was very honored and happy to be trusted with such an important task, but at the same time I of course knew that it was going to be hard work, winning over the hearts of the fans so to speak. As soon as I stepped out on stage for the very first show with the band and met the audience for the first time, all my fears that I had where suddenly gone and I couldn`t help but smile the whole show through!" Q: How do you feel that Kamelot fans have received you in this months touring? Tommy: "It has been nothing short of amazing! I never thought that so many people would accept me as fast as they did and I am truly happy and thankful for this. All the shows have been great in terms of crowd response and we have had an awesome time together on stage. On more than a couple of occasions I have been very moved by the overwhelming support from the fans. Thank you all for that!" Q: How do you perceive Silverthorn has been received by the fans? Tommy: "It seems that people like it as a whole as well as the separate songs on it. I have heard many people say that they like the fact that we brought the melodies and choruses back again which I also personally think is a good thing. 'Sacrimony' was the first song we played live and that was even before the album was released, and the reaction was fantastic and that is a rare phenomenon! After a while when the video was released, everyone knew the lyrics and that song was basically one of the highlights of the live set on the US tour. A week before the EU tour the album was out in the stores and we played a couple of more new songs during the shows. All the new songs that we played worked really well and by the sound of it the crowd approved of our choices." Kamelot have released a new single digitally. 'Falling Like The Fahrenheit' combines everything that the band stands for: melody, epic and melancholy atmospheres, and the unique voice of the new singer Tommy Karevik. The single will feature a special radio edit and the full album version. Kamelot have held their own, very special position in the world of rock and heavy music: their elaborate melodic metal has always opened itself in a remarkably clever way to like-minded styles, integrating progressive elements as well as cross-references to doom/gothic metal and classical music, which have allowed their songs to define their own genre. Two of their most successful releases in particular, namely the albums Karma (2001) and The Black Halo (2005), are prime examples of Kamelot's multi-layered approach, intensity and outstanding musicality. Their latest offering, Silverthorn, sees the band raise this demanding standard even higher, because Silverthorn is a masterpiece of grand gestures, gritty melodies and haunting atmospheres. In addition, the album confidently and proudly features the band's new singer: with his debut Tommy Karevik from Sweden has proved that he suits Kamelot perfectly in every respect! The LP and limited edition have one version of the art, while the standard version of Silverthorn has a different but equally exquisite version of the artwork. The standard version is presented as an Ecolbook. The limited edition contains the Ecolbook, a bonus CD with nearly 60 minutes of music, a 44 page book and an exclusive poster. The double LP version is a gatefold on colored blue marbeled vinyl. The digital version is available on iTunes.